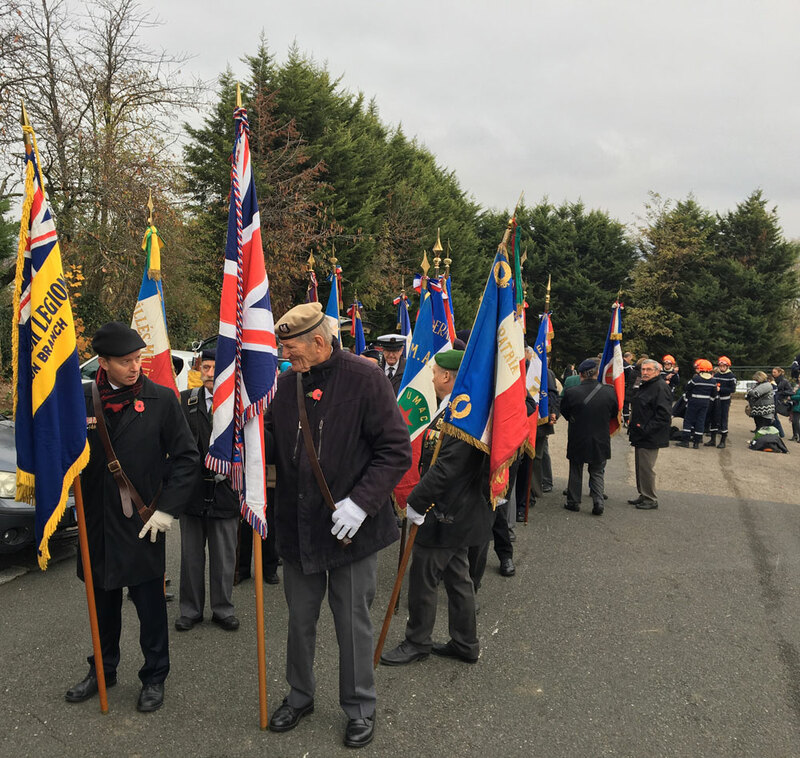 On the 18th November 2017, FIBA joined other members of the British community in Lyon (BCC, RBL, RAF, Association France-Grande-Bretagne, to name just a few) to commemorate, along with, it seemed, the entire population of St. Germain au Mont d’Or the Centenary of the establishment of a military hospital in St. Germain. FIBA member Garth Drury can be seen at the front of the group, representing the RBL. The first service was held at the British cemetery, led by Ron Currie and the Reverend Ben Harding. We then moved to the French cemetery next door, where local school children read out excerpts of French soldiers accounts from World War 1. The procession then moved to the centre of Saint Germain, where Matthew Lodge, representing the British Embassy, spoke and thanked the mayor, Renaud George and the people of Saint Germain for their great contribution to remembering the events of 100 years ago. Renaud George spoke movingly in English before a commemorative plaque was revealed by both men. Finally, a re-enactment of the scenes from 100 years was played out by various village associations from Saint Germain. You can read more about this here.